In December 2007, a motorist struck Wilbur Miller as the 78-year-old Omahan crossed the street. A retired laborer with little money, Miller spent the next two weeks in Creighton University Medical Center, racking up $100,000 in medical bills. Eventually, attorneys hired by Miller’s guardian secured a $100,000 settlement from the motorist’s insurance company. Here’s who was supposed to benefit: Wilbur Miller. — Miller’s guardian, who a judge says improperly took $62,700. She is in the Douglas County Correctional Center, facing theft charges in three unrelated cases. –Two attorneys, who were paid $33,333 in contingency fees. The lawyers said they earned the fees. One was quick to note that he had worked on eight other guardianship cases for free. A national expert said such an arrangement amounts to an informal “barter” system: using money from one case to compensate lawyers for work on other cases. It’s part and parcel of an old-school system in which judges scramble to reward the unsung work of attorneys and guardians, the expert said. A committee of judges, lawmakers, attorneys and investigators is reviewing Nebraska’s guardian-conservator system and is expected to make recommendations in October. In such cases, judges appoint a guardian to oversee the health and a conservator to oversee the wealth of an incapacitated person, known as a ward. Attorneys shepherd cases through court, filing documents but having little day-to-day oversight of the ward. Forty-eight states tap taxes and private grants to help pay for the work that attorneys and guardians do for indigent, incapacitated wards like Miller. Nebraska is one of the two states that have no public guardian office — and no public funding for such work. Instead, Nebraska judges allow lawyers to collect “reasonable” fees from those wards who do have assets. “Across the nation, we’re seeing the same crises, but we’re not seeing the resources devoted to it,” [Brenda]Uekert [a researcher with the National Center for State Courts] said. “It’s a tremendously important issue, but it’s not an easy one to solve. In her court-required reports, Dinah Turrentine-Sims listed more than $29,000 in checks and payments to “CWB” for extensive renovations to one of her wards’ houses near 75th and Burt Streets. All those payments to CWB, as it turns out, were phony. Carl W. Brown, a South Omaha resident who ran CWB Handyman for about eight years before a heart attack sidelined him last year, said he never set foot in Marie Meader’s house. “I wouldn’t even know what it looks like,” he said. Instead, Brown said, Turrentine-Sims hired him to do most of his work on the building near 24th and Fort Streets that she renovated to house her nonprofit organization Chris Services. All told, Brown said, he did $5,000 in work for Turrentine-Sims nowhere near the $29,000 she claimed. Had a judge asked, Brown said he would have told the judge so. But the Douglas County judges who were supposed to be overseeing Turrentine-Sims’ care of her wards didn’t check her accountings. And no one asked Brown. Judges, attorneys, investigators and accountants will probe what changes need to be made to the state’s guardian and conservator system in the wake of a World-Herald series and an Omaha police investigation that revealed shoddy oversight of the health and wealth of wards. 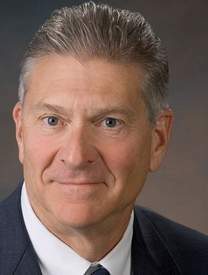 Nebraska Supreme Court Chief Justice Mike Heavican appointed 14 people to a committee to examine — and suggest changes to shore up — the state’s guardian and conservator system, after the investigation revealed hundreds of thousands of dollars missing from wards’ estates. Under state law, guardians are charged with overseeing health care for incapacitated people; conservators are charged with overseeing their finances. 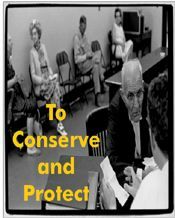 Among the issues, The World-Herald found that judges and court staff failed to: check conservators’ accountings and question inflated numbers and cryptic entries; require conservators to post bonds that could have insured the estates against thefts; scrutinize care decisions of guardians; and spot-check bank records of conservators. In turn, at least eight wards, most of them in Douglas County, have lost more than $400,000. Marie Meader made it known: When her time came, she wanted to be buried, not cremated. The genial Omaha woman a retired nurse and teacher told her relatives she wanted to be in a cemetery where her loved ones could find her. She even went to John A. Gentleman Mortuary and chose her casket, picked out flowers for her funeral and planned the services and burial at Evergreen Memorial Park Cemetery. All she had to do was pay for it. But Marie Meader never paid the bill. She soon slipped into dementia and, with no capable relatives nearby, a judge appointed Dinah Turrentine-Sims to watch over her. As guardian and conservator, Turrentine-Sims was supposed to look after matters of Meader’s health and wealth. Those matters included prepaying for Meader’s funeral something Meader’s nieces repeatedly reminded Turrentine-Sims to do. In turn, Turrentine-Sims reassured the nieces that she would take care of the mortuary bill. When Marie Meader died last month at age 90, her out-of-state nieces made a grim discovery: There was no money left in Meader’s accounts, which once held at least $150,000. And nothing had been paid to the mortuary. Meader’s nieces had little choice. They could try to pool $10,000 money they didn’t have for their aunt’s burial. Or they could have her cremated which would cost $2,000. Marie Meader was cremated. A small group of relatives, most from out of state, celebrated her life at an Omaha church. There was no burial at Evergreen, no fulfillment of her final wish. It isn’t the only duty Turrentine-Sims is accused of neglecting. Authorities now say more than $400,000 is unaccounted for in the estates of as many as eight wards a dollar amount that investigators say may climb. 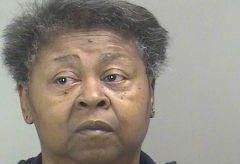 Prosecutors have charged her with theft and with abuse of a vulnerable adult in two cases where the losses have totaled more than $250,000. They allege that Turrentine-Sims, 59, spent thousands of her wards’ dollars at a Council Bluffs casino. Her former wards and their families accuse Turrentine-Sims of something worse: stripping their loved ones of their dignity along with their dollars. Nebraska’s top judge wants a task force to investigate the justice-system shortcomings that allowed hundreds of thousands of dollars to be drained from the vulnerable people an Omaha woman had been appointed to protect. Nebraska Supreme Court Chief Justice Michael Heavican said he will call upon judges, attorneys, auditors, lawmakers, fraud investigators and others to probe what needs to be done to shore up the state’s guardian and conservator system. Heavican said he decided to make the rare move of appointing a task force after reading The World-Herald’s April 11 report on the flaws that allowed the accounts of several wards to be emptied. Authorities say former court-appointed guardian Dinah Turrentine-Sims who has declined interview requests took at least $350,000 from as many as eight wards. 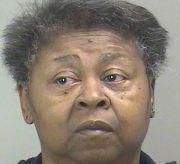 The 59-year-old has been charged with theft and abuse of a vulnerable adult in connection with two cases. * Set bonds insurance that could have protected the assets of the people in Turrentine-Sims’ care. * Scrutinize the care that she arranged for her wards. * Spot inflated numbers and unusual entries on her accountings. * Subpoena bank statements statements that showed large cash deposits and numerous casino ATM withdrawals. 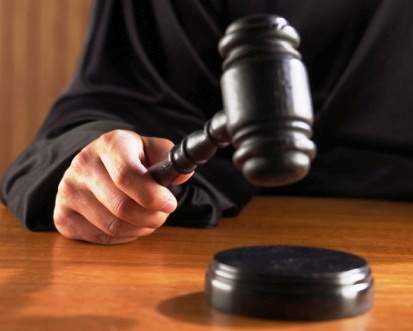 Nationwide, Heavican said, court administrators are placing great emphasis on bolstering probate court, the part of the justice system charged with overseeing the health and wealth of elderly and disabled people. It’s easy to see why: Fueled by baby boomers, the elderly population is expected to exceed 71 million people by 2030 more than double the number in 2000. Heavican said the courts’ responsibility to protect the elderly and the disabled is no different from their duty to protect children. Designed to protect people’s assets, the Probate Courts did anything but in several cases assigned to Dinah Turrentine-Sims. A World-Herald examination of police and court records and interviews with judges, attorneys and other conservators showed that several simple fixes could have prevented the staggering losses that Turrentine-Sims is accused of causing. And, experts say, most of the fixes could be paid for through reasonable fees assessed against the assets of the wards whose estates would be protected. Douglas County Attorney Don Kleine charged Turrentine-Sims in two cases. He said Omaha police are continuing to investigate Turrentine-Sims’ actions. So far, misappropriations are suspected in a handful of cases. Kleine said it’s paramount that legislators and judges make swift changes. An ugly family dispute resulted in a lawsuit filed in Lincoln County District Court and drew into the spotlight two oft[en] cited but perhaps not clearly understood legal roles. At the center of the dispute is 92-year-old Alice McPherson. Her daughters Angeline Milroy and Maria Fleecs filed the lawsuit against Teresa Piccolo. Piccolo is McPherson’s granddaughter and Milroy’s daughter. A source close to the case identified Piccolo as the primary, if not sole, caregiver to McPherson. Also named in the lawsuit were North Platte attorneys Mike Nozicka and Tim Brouillette, McPherson’s conservator and legal guardian, respectively. Though the attorneys were named as defendants in the legal capacities, no allegations of malfeasance were leveled at either one and the alleged instances of wrongdoing listed in the complaint all transpired prior to the attorneys being appointed by Judge Kent Turnbull. The suit alleged that Piccolo took advantage of McPherson’s inability to make rational decisions concerning her finances and property. McPherson began to exhibit signs of chronic dementia and Alzheimer’s in January 2007, affecting both her long and short-term memory, according to the document. 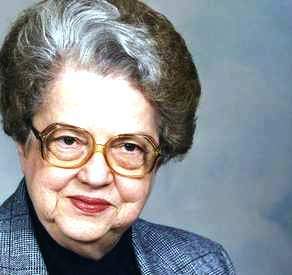 The legal problems began January 29, 2009, one day after McPherson’s husband of many years, Cliff, passed away. The suit stated that Piccolo drove McPherson to the office to attorney Mike McCarthy, where McPherson signed documents granting Piccolo power of attorney over the former’s healthcare. Fleecs and Milroy alleged that on February 20, 2009, Piccolo took McPherson to attorney Steve Vinton’s office in Gothenburg and secured durable power of attorney, and that Piccolo accepted the appointment without the knowledge, consent, or authority of Fleecs and Milroy. That same day McPherson signed a joint warranty deed to her home, naming herself and Piccolo as joint tenants, reserving a life estate for McPherson, according to the document. McPherson also altered her will on Feb. 20, revoking her previous will from 1959. The original document transferred her property to her two daughters, and had a one third interest to her husband’s son Terald. The terms of the new will were not listed in the complaint. Milroy and Fleecs accused Piccolo of exercising undue influence on McPherson. A Medicaid fraud investigation has led to the arrest of a 33-year-old Lincoln man, who now is charged with abuse of a vulnerable adult. Spencer Owen is accused of improperly spending $5,171.03 from his grandmother’s account. In court records, Douglas Klaumann, an investigator with the Medicaid Fraud & Patient Abuse Unit of the Nebraska Attorney General’s Office, said that Owen spent $7,768.96 on himself since his grandmother went to the nursing home. The nursing home where Owen’s grandmother has lived since October 2007 contacted the fraud unit last March on allegations he was spending his grandmother’s Social Security check and not paying for her care. Klaumann said a review of her bank statement showed purchases at restaurants, convenience stores, gas stations, an online ticket site, clothing stores, a tattoo parlor and a skateboard shop, among others, since she has been at the nursing home. They believe Owen, a co-guardian for his grandmother, made the purchases for himself. Nebraska’s oft-criticized safety net for people with mental retardation and other developmental disabilities may get a small funding increase next year despite Gov. 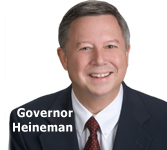 Dave Heineman’s recommendation to keep funding flat. The Legislature’s budget-writing Appropriations Committee voted Thursday to increase state funding to groups that care for the developmentally disabled by 1 percent, a move one official said could keep their doors open and serve the same number of people they are now. Lawmakers, meanwhile, must come up with spending cuts to offset the funding increase proposed during the state’s worst fiscal crisis in recent memory. Providers had sharply criticized Heineman’s plan to keep funding flat next year because it came at the same time his administration is trying to move people out of institutions and into community-based programs. His proposal is one of dozens of proposed changes to the budget during the ongoing special legislative session intended to decrease state spending by $334 million to address falling state revenues. “It doesn’t sound like much, but it will help groups stave off a financial crisis,” said Zavodny, president of a state association of organizations that serve the mentally disabled. In addition to the 1 percent increase, the Appropriations Committee set aside $500,000 to help boost pay to providers of services to the developmentally disabled. Formal charges were brought against Peter Thew June 5 in the Nebraska Supreme Court. The charges, filed by the Council for Discipline of the Nebraska Supreme Court, include five counts of misconduct in five separate cases. The second count alleges that Thew failed to file proper documents and pay bills in 2007 on behalf of Luana Grey. Thew had been named guardian and conservator of Grey, who was awarded a settlement in excess of $414,000 in a tort against the makers of the diet drug Fen Phen. Thew reportedly failed to pay more than $130,000 from Grey’s account to Medicare, who had a subrogation claim against the settlement. Thew also failed to pay lesser bills, according to the charges. He was removed as guardian and conservator of Grey in April 2008 after he twice failed to appear at hearings or respond with court filings as to why he should not be removed. Even after his removal, Thew failed to file an accounting of Grey’s funds with the court. Count three alleged that Thew mishandled the affairs of Marilyn Hawley, of whom he was also named guardian and conservator. From 2006 until 2007 the charge claimed that Thew failed to pay bills or deposit checks on behalf of his client. He reportedly also failed to pay funeral costs after Hawley passed away February 1, 2007.Thew told the court that he could not locate Hawley’s heirs. However, the charges maintained that Thew in fact had the addresses of all four of Hawley’s living children. Thew did not notify Hawley’s heirs of his motion to pay her funds into the court. You are currently browsing the archives for the Nebraska category.